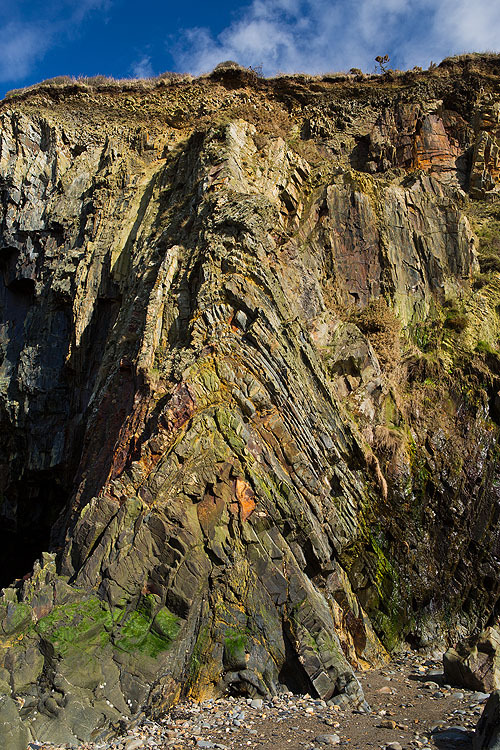 A Chevron Anticline in the Ordovician Turbidite Mudstones and Sandstones , folded by the Caledonian earth movements, can be seen in the cliffs at the back of Newport Sands. Further to the north , in the next cove , an anticline / syncline pair can be found . Numerous caves can also be seen in this area - on a lowtide - some rock hopping may still be required however to reach the cliffs.